In this week’s notable releases, pianist Tom Rogerson debuts with a beautiful Brian Eno collaboration, and Belle & Sebastian’s EP series begins by looking backward. Brian Eno would probably be the first to say that the design behind his albums can often be more interesting than the music. His first purely ambient work, 1975’s Discreet Music, notably featured a schematic of the equipment he used to create it; on his most recent, 2017’s Reflection, he stressed the “generative” properties of allowing the systems he’s devised to unfold naturally, removing himself from the process almost completely. Finding Shore, his new collaborative album with pianist Tom Rogerson, has an equally fascinating blueprint: Rogerson’s piano keys were overlaid with infrared sensors that were set up to trigger vintage Moog equipment, creating new tones that Eno could fiddle with and improvise around. Here the self-proclaimed “non-musician” once again acts as conduit for the flow of Rogerson’s ideas, and if the actual product doesn’t always measure up to that quirky ingenuity—or if it is, on the whole, just a touch too chamber-music stately to reach the mind-expanding heights of Eno’s ’70s and ’80s team-ups with Robert Fripp, Cluster, Harold Budd, et al.—Finding Shore still contains moments that are plenty interesting, even downright beautiful. In those, it doesn’t really matter how they were created. RIYL: Olafur Arnalds. Nils Frahm. Talking for hours about analog synthesizers. 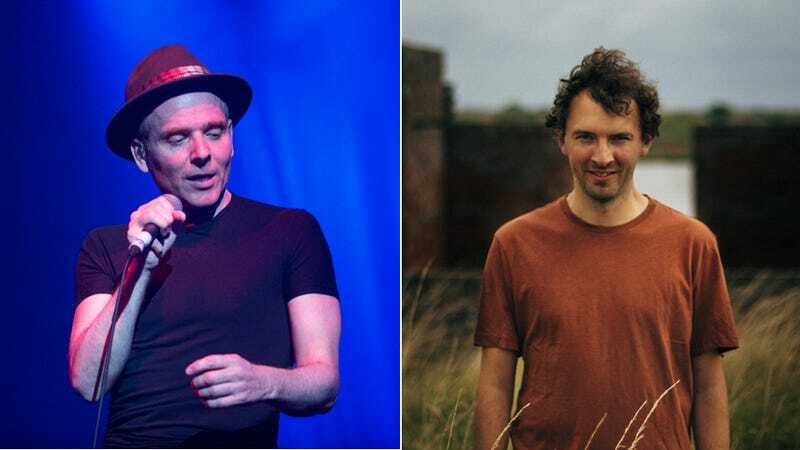 What stands out about the first entry in Belle & Sebastian’s three-part EP series How To Solve Our Human Problems is how much it, like 2015’s Girls In Peacetime Want To Dance, sounds like the work of an out-and-out band. Recorded at a leisurely pace and with a minimum of fuss, How To Solve Our Human Problems (Part 1) finds the members of Belle & Sebastian vamping as frequently as they’re weaving tales of the painfully shy and tragically literate, finished here with threads of “What if?” on opening track “Sweet Dew Lee” and colored by sunset in the Sarah Martin-led “Fickle Season.” “Everything Is Now” puts things in the present tense, but the spirit of the EP is wrapped up in “Fickle Season,” a throwback to classic slow-burners like “You Made Me Forget My Dreams.” How To Solve Our Human Problems begins by looking back in order to move forward. RIYL: Dancing while reminiscing. A lyric sheet with at least one good Trump takedown. The polished pop band Belle & Sebastian has been for longer than the self-effacing twee darlings they were.